Kia Motors recently revealed their latest take on the third generation Kia Rio, boasting a fresh design, a new engine, more features included in the base model as well as additional optional extras. 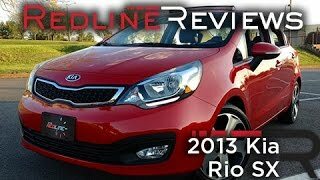 Let's take a look at the Kia Rio 2013 and see what we can expect from it. As mentioned above, the new Kia comes with a new engine, a 1.6 liter four-cylinder gasoline direct-injection unit able to produce 138 horsepower and get from 0 to 60 in 7.6 seconds. The 1.6 engine is coupled with a six-speed manual gearbox on the base model, whilst a six-speed automatic gearbox is available as an optional extra. 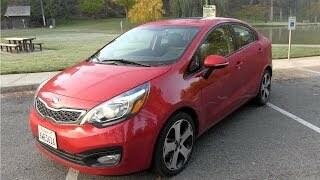 The new Rio also benefits from start/stop technology which brings the fuel consumption to 30 mpg city and 40 mpg highway. 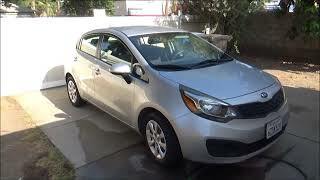 On the exterior the Kia Rio undergone some aesthetic changes and now comes with three trim levels: LX, EX and SX. The LX variant offers a minimum of features such as body-color side mirrors and door handles, whereas on the inside the LX trim level comes with a height-adjustable driver's seat. The EX trim level offers keyless entry, power door locks, power windows, Bluetooth connectivity, adjustable steering wheel and 60/40 split folding rear seats. Lastly, the SX trim level brings a lot of extras including a set of 17-inch wheels with 205/45R17 tires, dual chrome tip exhaust, LED daytime running lamps and heated mirrors featuring turn signal indicators, whereas the inside of the SX comes with a few sporty touches such as metal pedals, leather-wrapped shift knob and steering wheel, a few chrome elements, cruise control and the Microsoft powered UVO featuring hands-free and rear camera display. 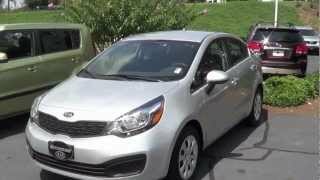 In addition the Kia Rio 2013 comes with three other optional packages including the Convenience Package and Eco Package for the EX trim level, and the Premium Package for the SX variant. The Convenience Package adds a few features found on the SX variant to the EX trim level, including the leather-wrapped shift knob and steering wheel, illuminated vanity mirrors, heated side mirrors with turn signals and 15-inch alloy wheels. The Eco Package focuses on eco-friendliness and offers features such as Active Eco System and ISG technology, whereas the Premium Package for the SX variant includes a navigation system that replaces the UVO, heated leather front seats and a moonroof. 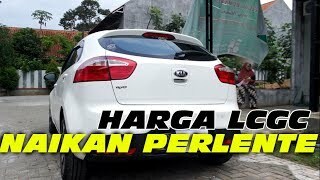 As far as pricing goes the new Kia Rio has a base price of $13,340, which is pretty much the same as some as some of its key competitors, the Ford Fiesta Sedan and the Chevrolet Aveo (known as the Chevrolet Sonic outside of Europe).